François-Auguste-René Rodin (12 November 1840 – 17 November 1917), known as Auguste Rodin, was a French sculptor. 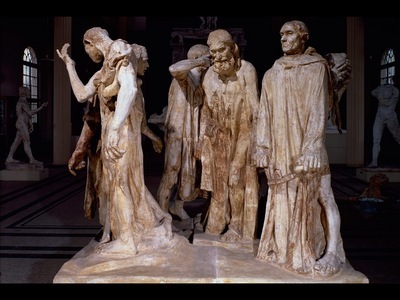 Although Rodin is generally considered the progenitor of modern sculpture, he did not set out to rebel against the past. He was schooled traditionally, took a craftsman-like approach to his work, and desired academic recognition, although he was never accepted into Paris's foremost school of art.